Since the birth of American sociology, scholars have long been interested in the systematic observation of urban spaces. In addition to documenting population and housing characteristics, early sociologists recorded the sights, sounds, and feel of streets and public spaces, considering these important aspects of social contexts that have implications for a variety of outcomes, including health, crime, perceptions, trust, social cohesion, and neighborhoods’ trajectories. Research and theory incorporating the visible and physical features of spaces have been limited, however, due to the immense time and labor costs necessary to survey street blocks, and scholarship has, instead, relied heavily on publicly available administrative data that often lack temporal and spatial detail. New and innovative data and methods have becoming increasingly available that bring new opportunities to the study of spatial contexts. Drawing on longitudinal street-level imagery, crowdsourcing, and recent advances in deep learning and computer vision, we develop measures of the visible and physical conditions of urban spaces at fine-grained temporal and spatial scales. These methods provide new possibilities for studying spatial contexts but also come with challenges and limitations. 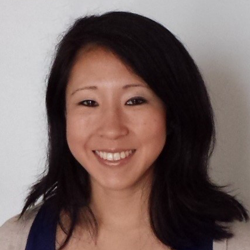 Jackelyn Hwang is an Assistant Professor in the Department of Sociology and a faculty affiliate at the Center for Comparative Studies in Race and Ethnicity and the Urban Studies Program. Jackelyn’s main research interests are in the fields of urban sociology, race and ethnicity, immigration, and inequality. In particular, her research examines the relationship between how neighborhoods change and the persistence of neighborhood inequality by race and class in US cities. Her current projects focus on the causes and consequences of gentrification and developing automated methods for measuring the physical conditions of neighborhoods over time using Google Street View imagery. Her work has appeared in the American Sociological Review, Demography, Social Forces, and other academic journals.